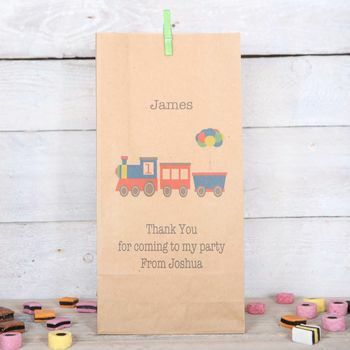 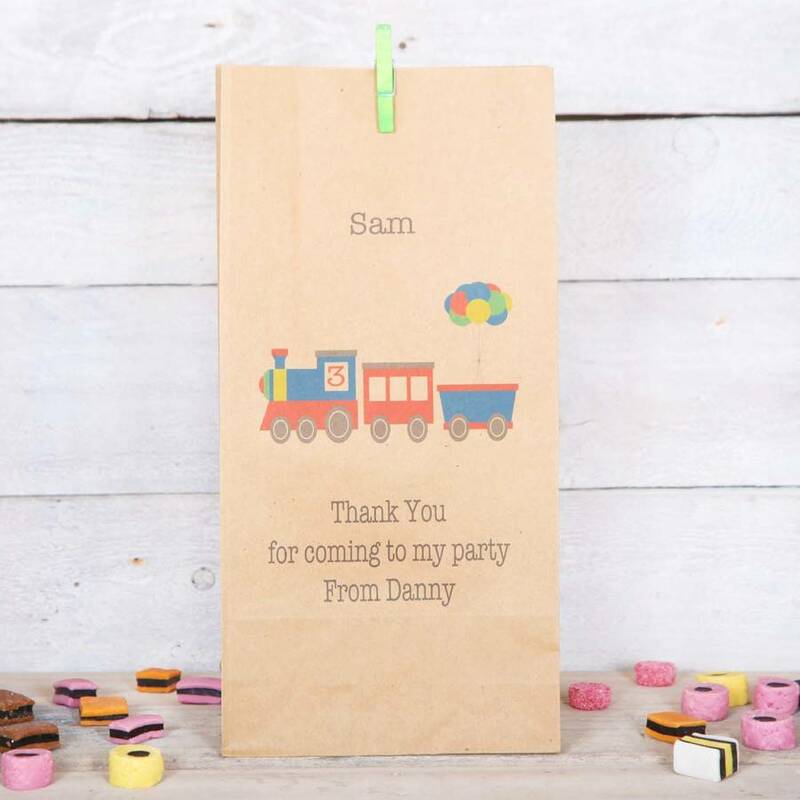 Our train themed party bags can be personalised with the birthday boy or girls age in the train window. A great way to give your guests a thank you for celebrating your special day with you and their generous size means there is plenty of space for the cake too. 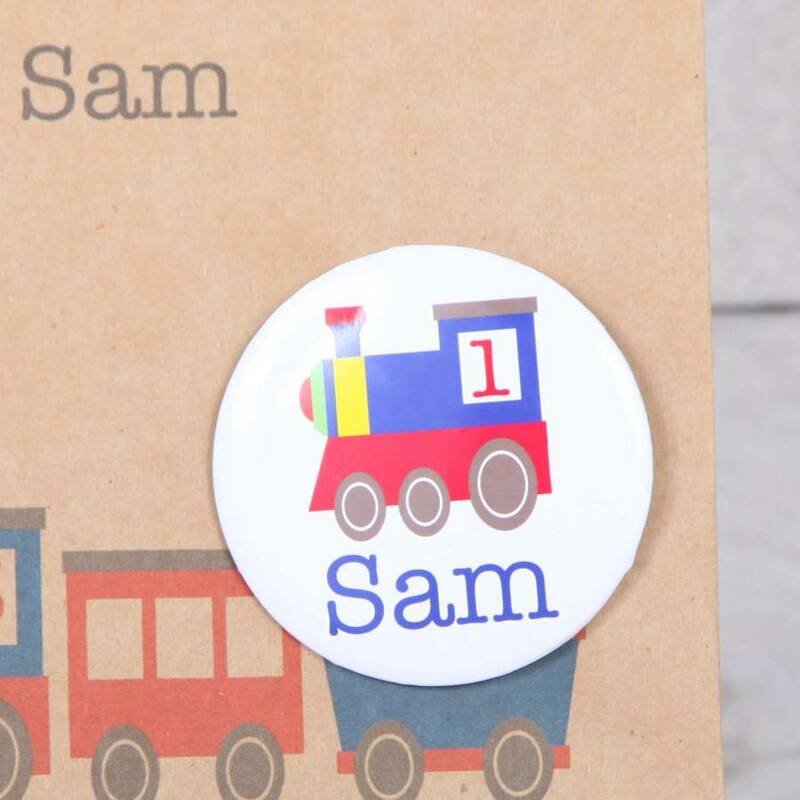 They can be purchased with or without the pegs and a co ordinatingbadge is also available.